This article is a join publication initiative between Preventing Chronic Disease and NAM Perspectives. The United States has made enormous progress during the past century in improving the health and longevity of its population through public health interventions and high-quality clinical care. In 2015, life expectancy at birth was 78.8 years, 10 years longer than in the 1950s . Smoking prevalence rates among adults and teenagers are less than half what they were 50 years ago . The proportion of people without health insurance is at a historic low of 8.8% . Health reform efforts have also improved health care quality and slowed the growth rate of health care costs. To solve the fundamental challenges of population health, we must address the full range of factors that influence a person’s overall health and well-being. Education, safe environments, housing, transportation, economic development, access to healthy foods — these are the major social determinants of health, comprising the conditions in which people are born, live, work, and age . Fortunately, many pioneering communities across the country are already working to improve health by influencing these determinants in a positive way. From Nashville, Tennessee, to Manchester, New Hampshire, to Harris County, Texas, and the Shoalwater Bay Indian Tribe in Washington, community leaders have built coalitions to improve educational attainment, promote economic opportunity, ensure community safety, and build environments that promote mental health and community engagement. Driven by payment policy changes, our health care system is transforming from one focused on episodic, nonintegrated care toward one that is value-based and would benefit from collaboration with allied community efforts. CDC developed a framework to conceptualize such integration across 3 areas of prevention— traditional clinical preventive interventions, interventions that extend care outside of the care setting, and population or community-wide interventions  (Figure 1). Although work in all of these areas is necessary to improve health, the work of Public Health 3.0 is focused on the second and third areas. To improve the health of all people in America, we must also address factors outside of health care. Doing so means we must build on past successes and work across sectors to get closer to the essential definition of public health: Public health is what we do as a society to ensure the conditions in which everyone can be healthy . 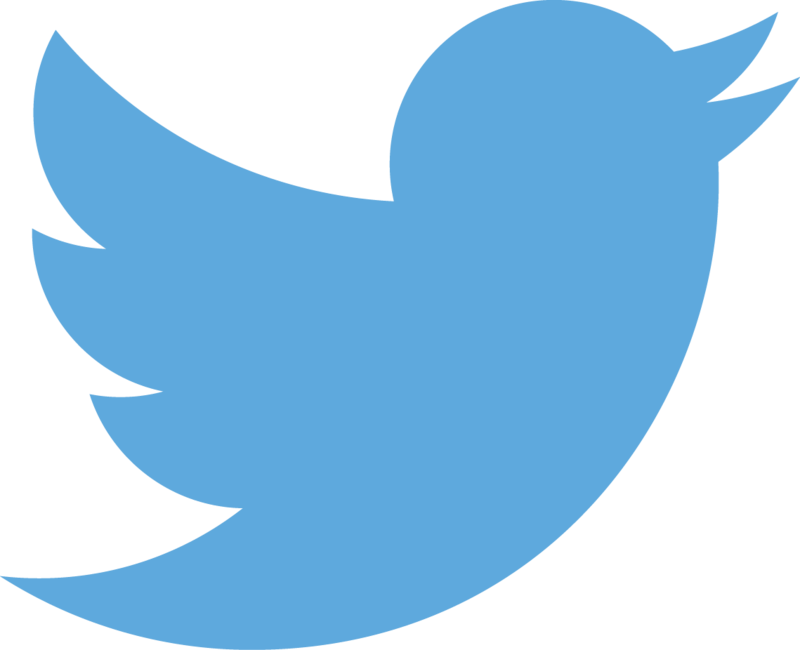 This expanded mission of public health was underscored in the 1988 Institute of Medicine (IOM, now the National Academy of Medicine) report, The Future of Public Health . It is even more salient today. Pioneering communities across the country are demonstrating how this can be achieved, particularly when led by local public health departments . The 2002 IOM report, The Future of the Public’s Health in the 21st Century , called for strengthening governmental public health capabilities and requiring accountability from and among all sectors of the public health system. However, public health has been significantly underfunded. Relative to health care spending, the United States has made paltry investments in upstream, nonmedical determinants of health, such as social services, education, transportation, environmental protection, and housing programs. This lack of investment has had detrimental effects on population health . In addition, the 2008 recession precipitated a large and sustained reduction in state and local spending on public health activities . In 2012, nearly two-thirds of the US population lived in jurisdictions in which their local health department reported budget-related cuts to at least one critical program area . Figure 2 | Evolution of Public Health Practices. Source: U.S. Department of Health and Human Services. Notes: IOM = Institute of Medicine. We selected 5 geographically and demographically diverse communities and convened listening sessions with approximately 100 participants each. Each meeting showcased successful multisectoral collaboration designed to address the social determinants of health. The communities visited were Allegheny County, Pennsylvania; Santa Rosa, California; Kansas City, Missouri; Nashville, Tennessee; and Spokane, Washington. They were selected as representative of the broader Public Health 3.0 movement because of their national reputation for multisectoral collaboration, evidence of a strong local public health leader, innovative use of data and metrics, and funding. They also had experience in public health department accreditation. Allegheny County, Pennsylvania, is a prototype for the model including their work to form a structured partnership supporting health and blending and braiding funding across several governmental jurisdictions . Based on insights gathered from the public health community at these listening sessions, from conversations with leaders, and from a review of prior reports that lay out a framework for strengthening public health, we propose 5 broad recommendations that define the conditions needed to support health departments and the broader public health system as it transforms into the Public Health 3.0 model. A more detailed list of specific actions can be found at the end of this paper and in the full report . Public health leaders should embrace the role of Chief Health Strategist for their communities — working with all relevant partners so that they can drive initiatives including those that explicitly address “upstream” social determinants of health. Specialized Public Health 3.0 training should be available for the public health workforce and public health students. Public health departments should engage with community stakeholders — from both the public and private sectors — to form vibrant, structured, cross-sector partnerships designed to develop and guide Public Health 3.0–style initiatives and to foster shared funding, services, governance, and collective action. Public Health Accreditation Board (PHAB) criteria and processes for department accreditation should be enhanced and supported to best foster Public Health 3.0 principles, as we strive to ensure that every person in the United States is served by nationally accredited health departments. As of August 2016, approximately 80% of the US population lived in the jurisdiction of one of the 324 local, state, and tribal health departments that has been accredited or is in the process of becoming accredited by the PHAB . The vision of ensuring that every community is protected by an accredited local or a state health department (or both) requires major investment and political will to enhance existing infrastructure. Although research found accreditation supports health departments in quality improvement and enhancing capacity , the health impact and return on investment of accreditation should be evaluated on an ongoing basis. Timely, reliable, granular-level (ie, subcounty), and actionable data should be made accessible to communities throughout the country, and clear metrics to document success in public health practice should be developed to guide, focus, and assess the impact of prevention initiatives, including those targeting the social determinants of health and enhancing equity. Funding for public health should be enhanced and substantially modified, and innovative funding models should be explored to expand financial support for Public Health 3.0–style leadership and prevention initiatives. Blending and braiding of funds from multiple sources should be encouraged and allowed, including the recapturing and reinvesting of generated revenue. Funding should be identified to support core infrastructure as well as community-level work to address the social determinants of health. Upon the release of the report, several public and private organizations committed to advancing its recommendations. It was embraced by the American Public Health Association as the blueprint for the future of public health ; others committed to developing training for Chief Health Strategists  or to building bridges between public health and the clinical care system, including payers . The US Department of Health and Human Services (HHS) implemented 3 priority recommendations, including extending reporting on accreditation status to federal public health entities, establishing a social determinants of health workgroup to support alignment of HHS policies, and launching a conversation about state-based opportunities to leverage health and human services resources to improve the public’s health . Additionally, CDC’s Health Impact in 5 Years (HI-5) initiative  provides nonclinical, community-wide toolkits to address social determinants of health that have demonstrated not only health improvement but also cost-effectiveness within 5 years. Community-level uptake and action through these resources could accelerate the impact of Public Health 3.0 collaborations. 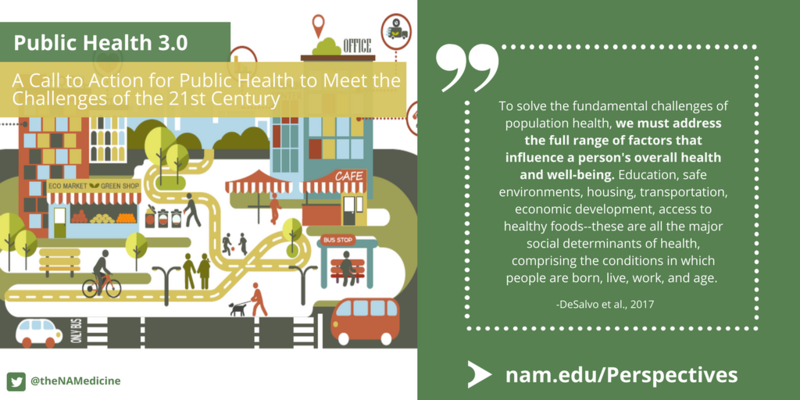 For many communities, transforming to a Public Health 3.0 model will prove challenging. Although funding has stabilized, local health departments continue to face resource challenges from local financing streams, and proposals to reduce federal public health spending are likely to have a major impact at the local level . 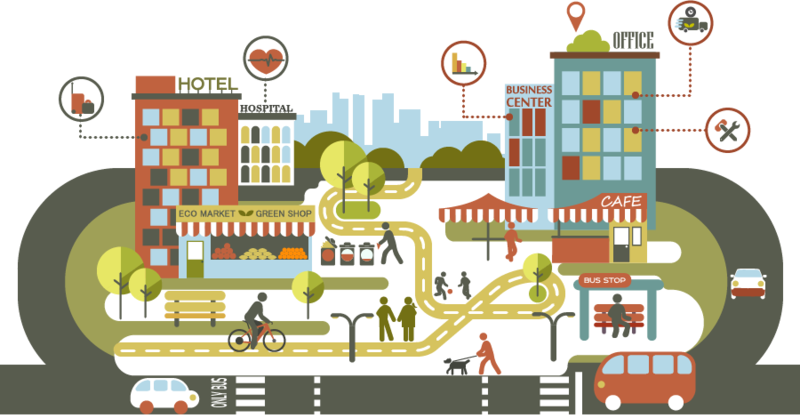 Despite promising advances such as the Big Cities Project, the absence of nonproprietary tools for data, analytics, metrics, and other uses leaves actionable information out of reach for most localities . Additionally, the daily challenges of meeting statutory public health responsibilities and a lack of experience and skill prevents most local health leaders from acting as Chief Health Strategists to bring people together across sectors. Finally, the basic foundational structure of local governmental public health may itself be a barrier to efficient and cost-effective coordination at the local level. Karen B. DeSalvo, MD, MPH, MSc is the former Acting Assistant Secretary for Health and National Coordinator for Health Information Technology at the US Department of Health and Human Services and former Health Commissioner for the City of New Orleans. Y. Claire Wang, MD, ScD is Associate Professor of Health Policy & Management, Columbia University Mailman School of Public Health and Senior Program Advisor of the National Academy of Medicine. Andrea Harris, MSc is the Senior Healthcare Analyst at Height Securities in Washington, DC and was previously the Chief of Staff with the Office of the Assistant Secretary for Health at the US Department of Health and Human Services. John Auerbach, MBA is the President/CEO of Trust for America’s Health. He was formerly the Associate Director for Policy at the CDC and the Massachusetts Commissioner of Public Health. Denise Koo, MD, MPH is a Community Health and Health Systems Consultant, and was formerly the Advisor to the Associate Director for Policy at the U.S. Centers for Disease Control and Prevention. Patrick W. O’Carroll, MD, MPH is Head of Health Systems Strengthening Sector at The Task Force for Global Health, and a member of the Task Force’s Executive Team. The authors acknowledge the many communities and leaders who helped inform this work. Karen DeSalvo, MD, MPH, MSc, Former Acting Assistant Secretary of Health, US Department of Health and Human Services, 121 Rio Vista Ave, New Orleans, LA 70121. Telephone: 504-957-7094. Email: Karen.DeSalvo@gmail.com. Preventing Chronic Disease (PCD) is published by the Centers for Disease Control and Prevention, a United States Government agency; therefore, materials published in PCD, including text, figures, tables, and photographs, are in the public domain and can be reprinted or used without permission with proper citation.